One idiosyncrasy of archaeology in North America is that it is considered a sub-field of cultural anthropology. 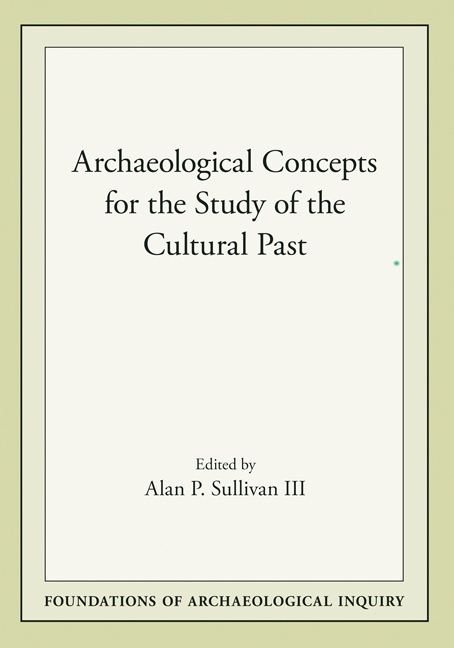 To explore the dimensions of this situation, editor Alan P. Sullivan assembled a group of practicing archaeologists, each with different expertise, to analyze problems with the current disciplinary arrangement and to recommend changes in practice and pedagogy that might coalesce into a truly archaeological study of the cultural past. By using the theoretical tension that has arisen between archaeology and cultural anthropology, the contributors illustrate the effectiveness of concepts and methods that have little, if any, overlap with those of the mother discipline. Archaeological Concepts for the Study of the Cultural Past examines the degree to which the historically close relationship between archaeology and cultural anthropology may actually have inhibited archaeological investigations—particularly of those aspects of the cultural past that may be ethnographically undocumented or incompletely described. Alan P. Sullivan III is professor of anthropology at the University of Cincinnati.